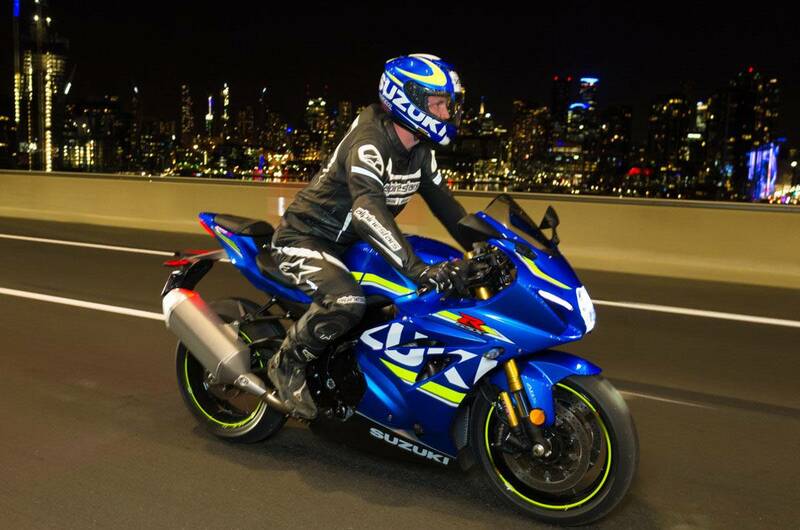 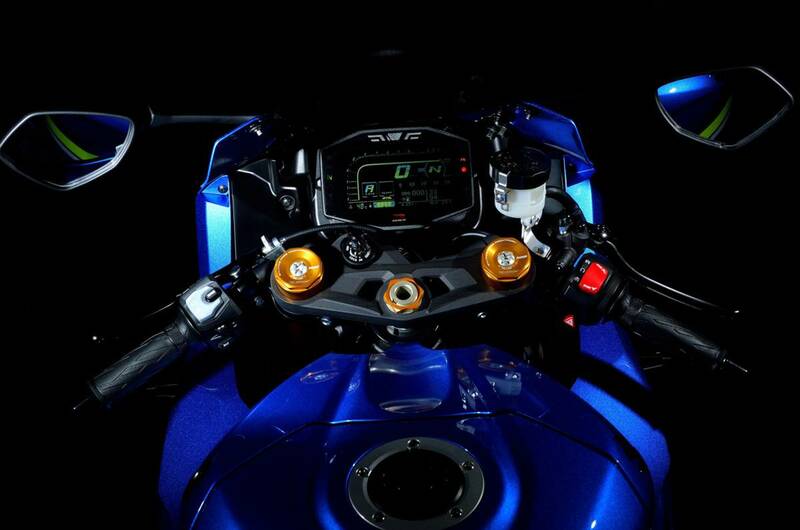 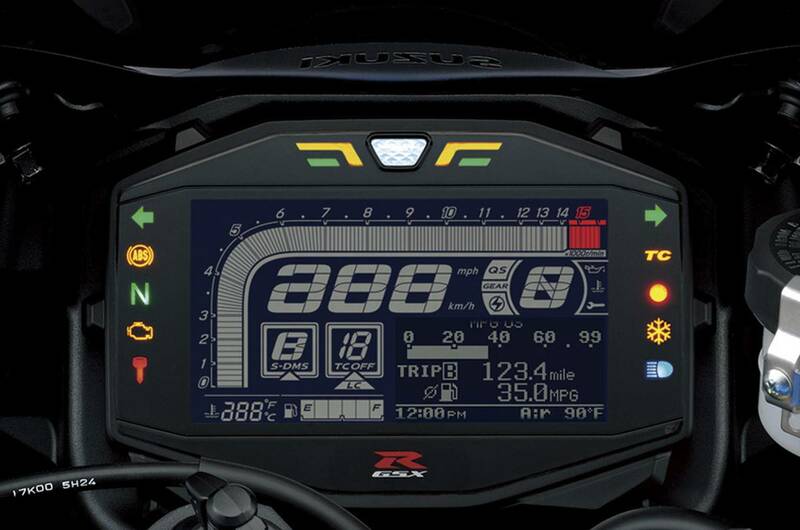 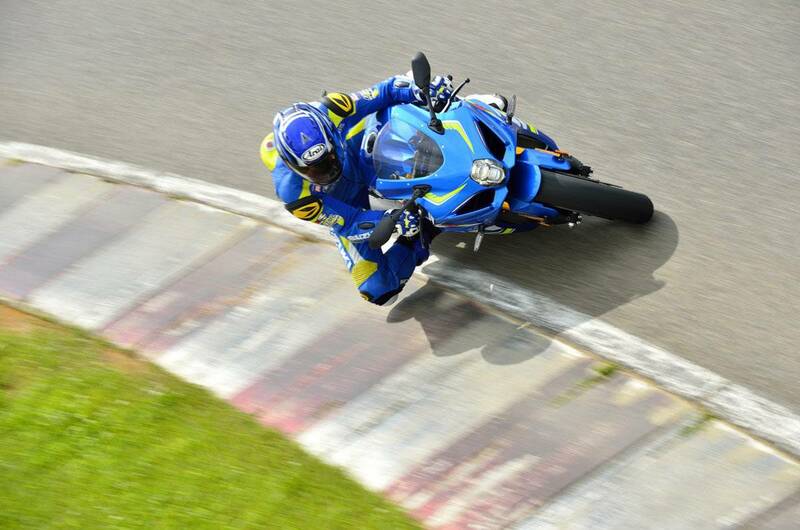 The top-spec GSX-R1000R is equipped with the latest SHOWA BFFⓇ(Balance Free Front) forks and SHOWA BFRCⓇ lite (Balance Free Rear Cushion lite) rear shock, bi-directional quickshifter, racing launch control, LED position lights, lightweight battery and a unquie black LCD instrument panel display letting you know you're sitting aboard something truly special. 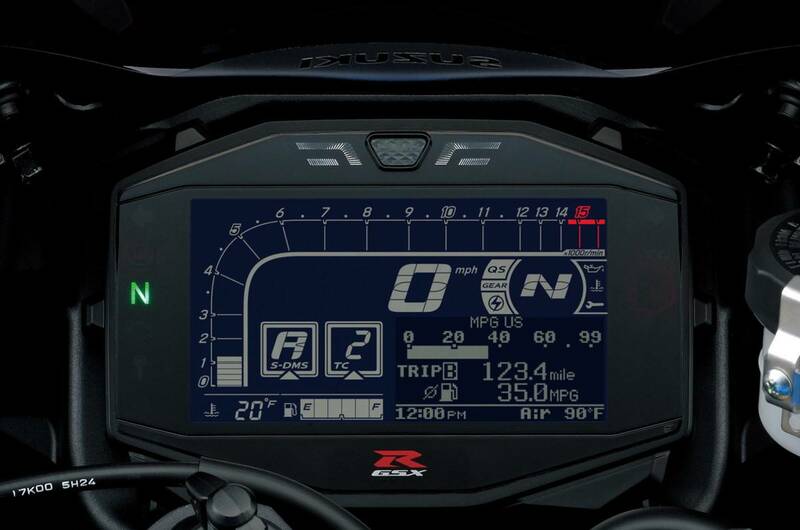 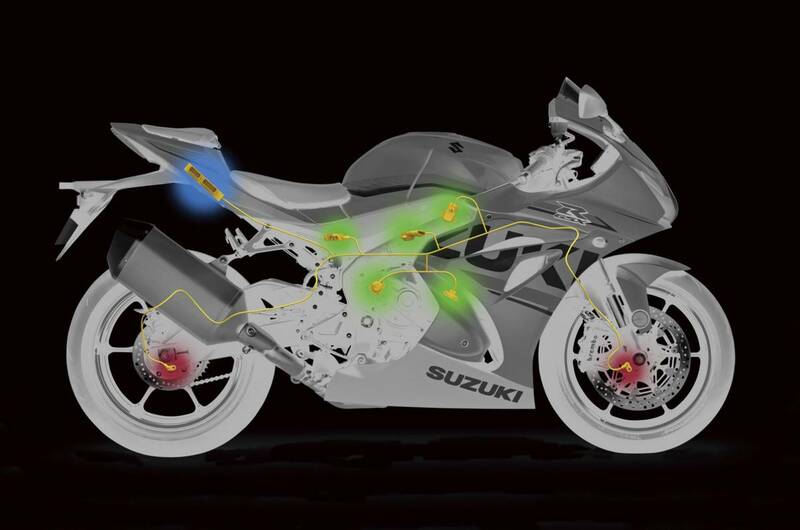 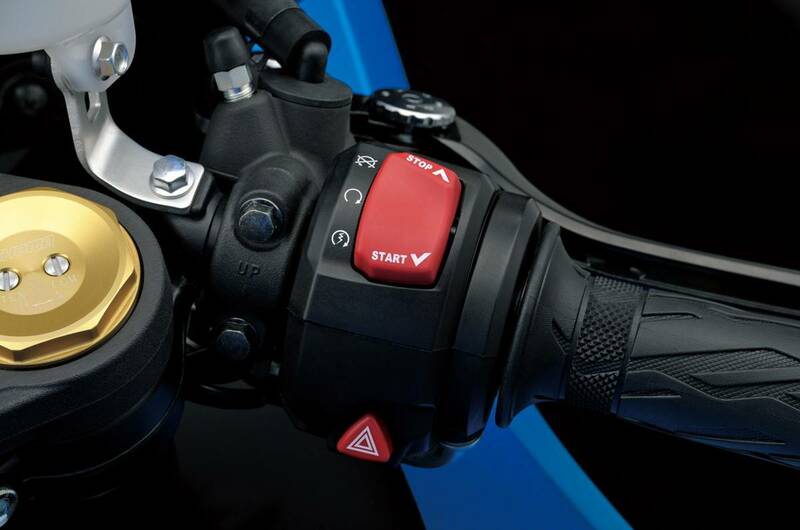 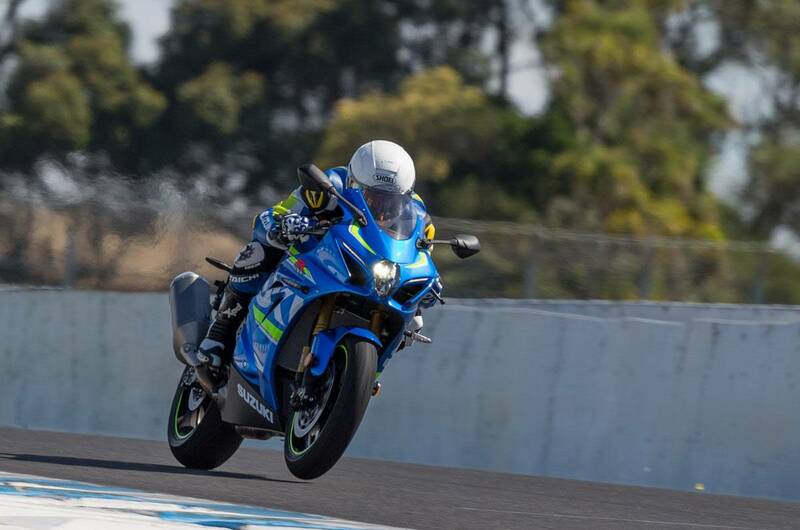 The GSX-R1000R model’s launch control system makes it easier for a racer to get a good start in competition by automatically limiting engine rpm and optimising torque delivery while the rider holds the throttle twist grip wide open and concentrates on feeding in the clutch lever. 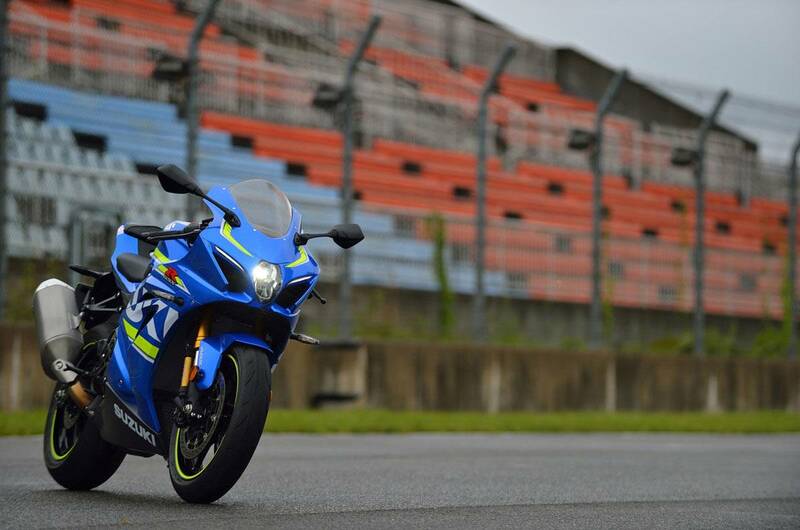 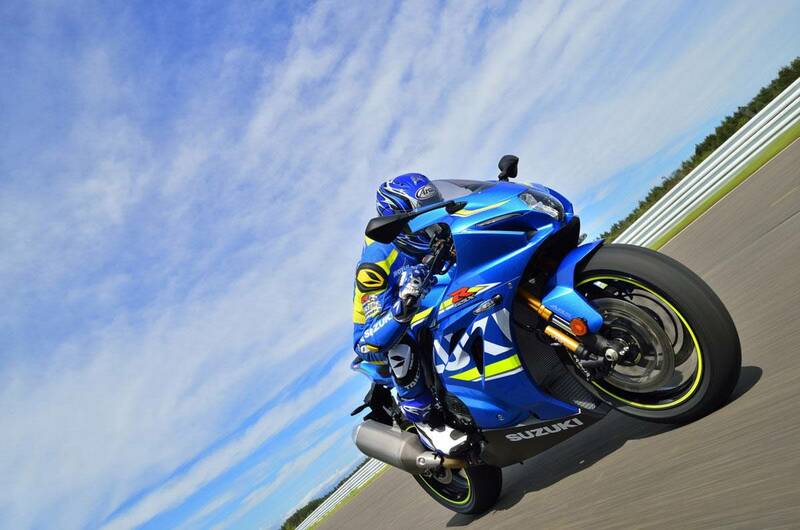 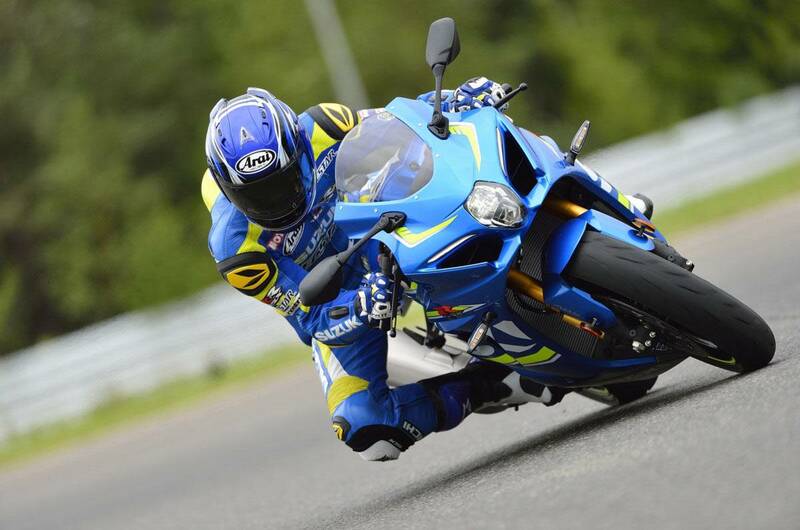 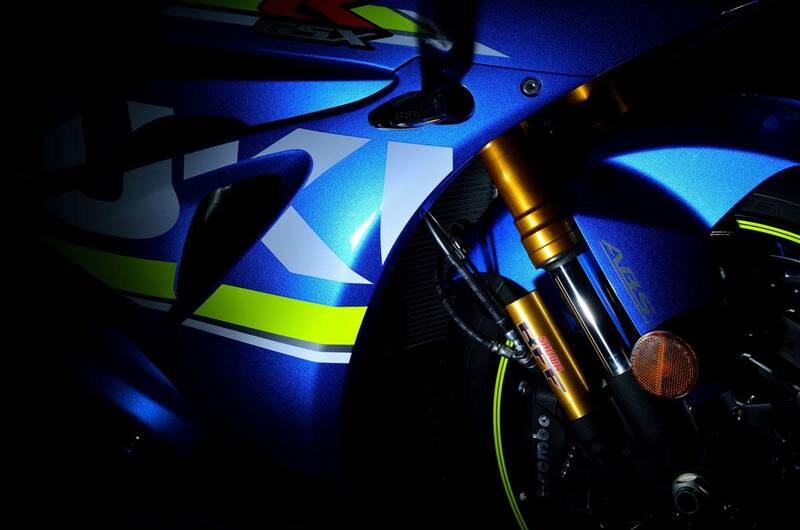 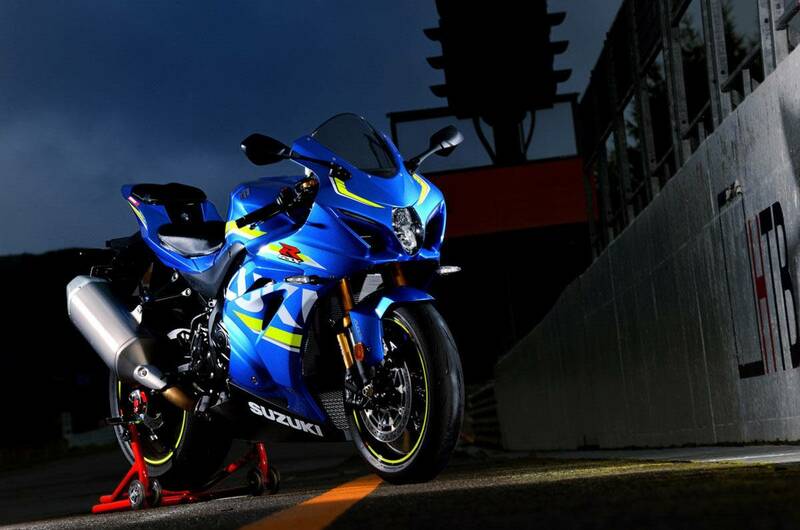 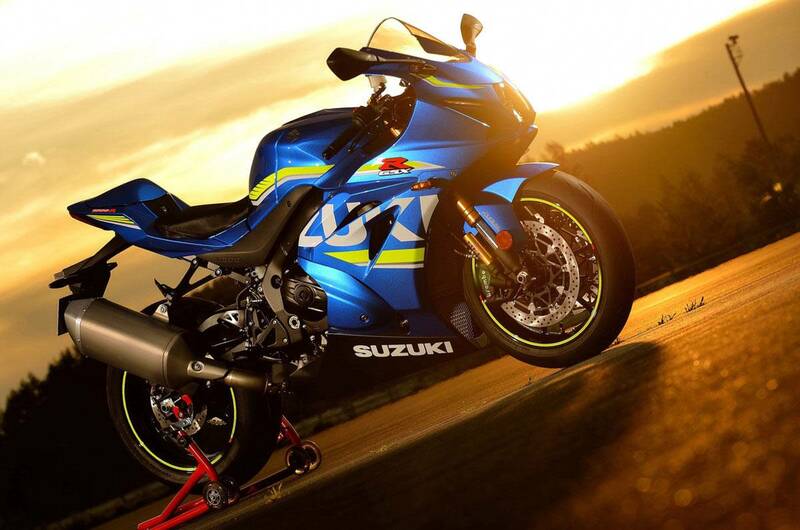 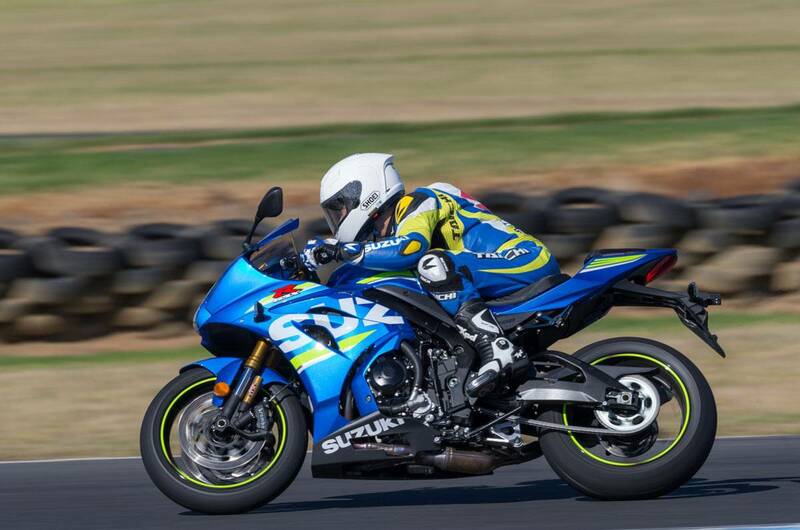 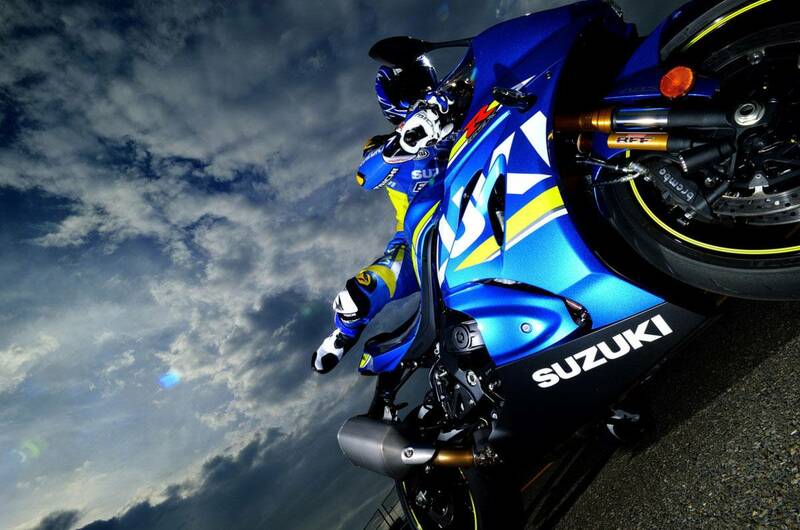 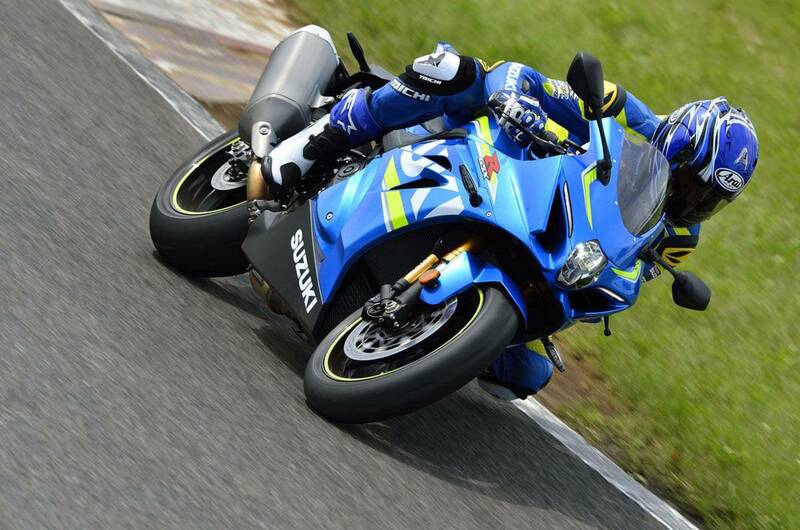 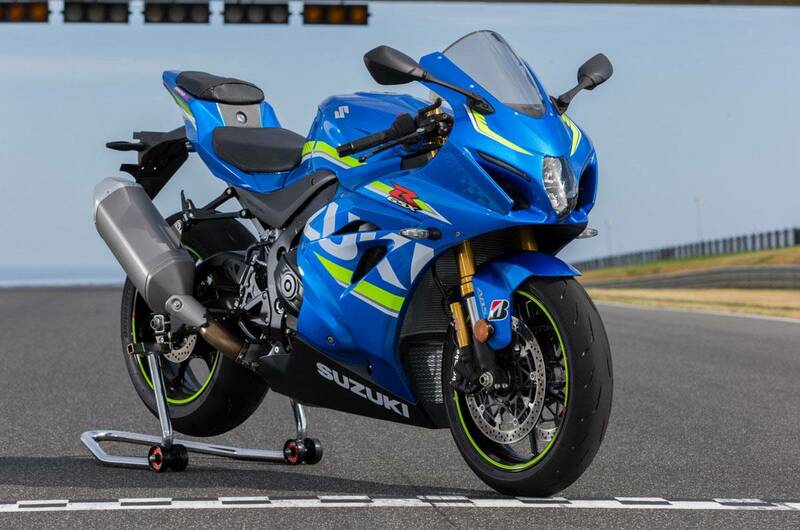 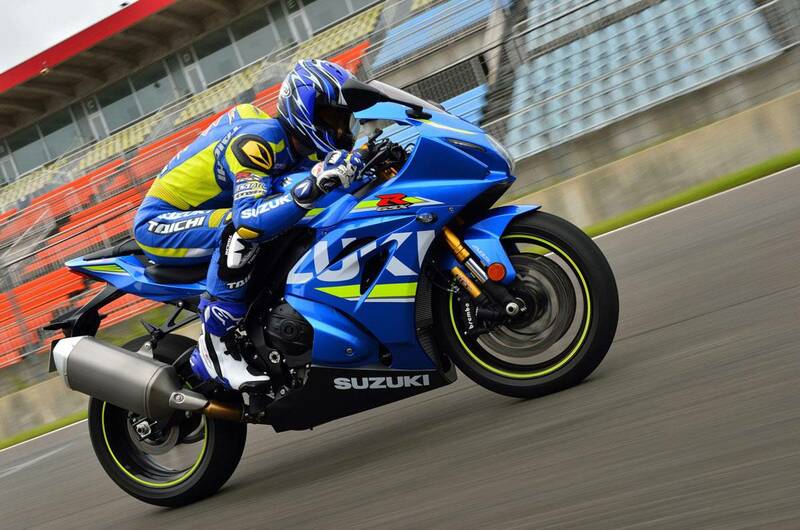 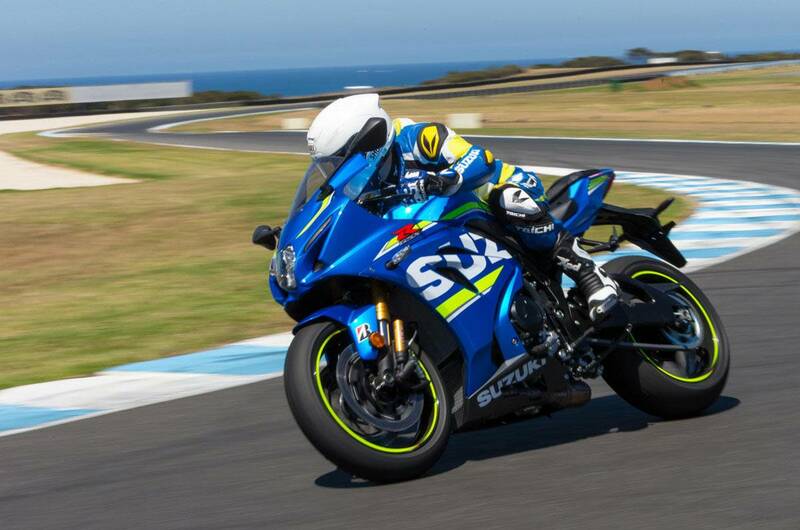 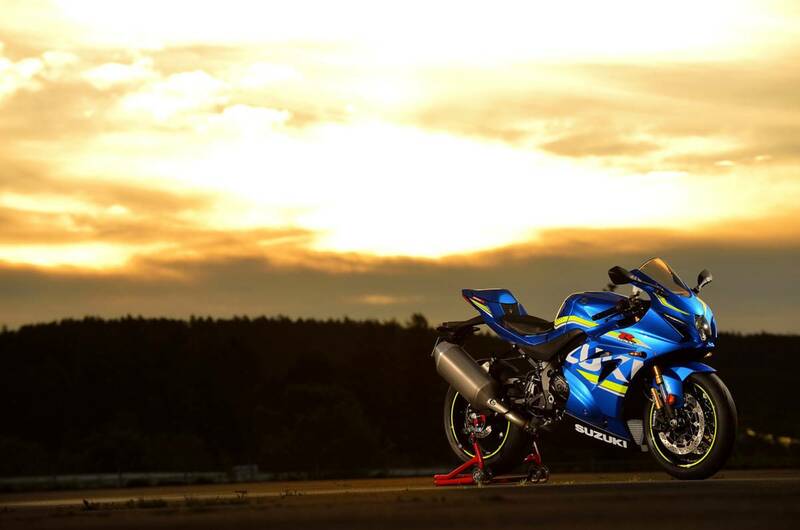 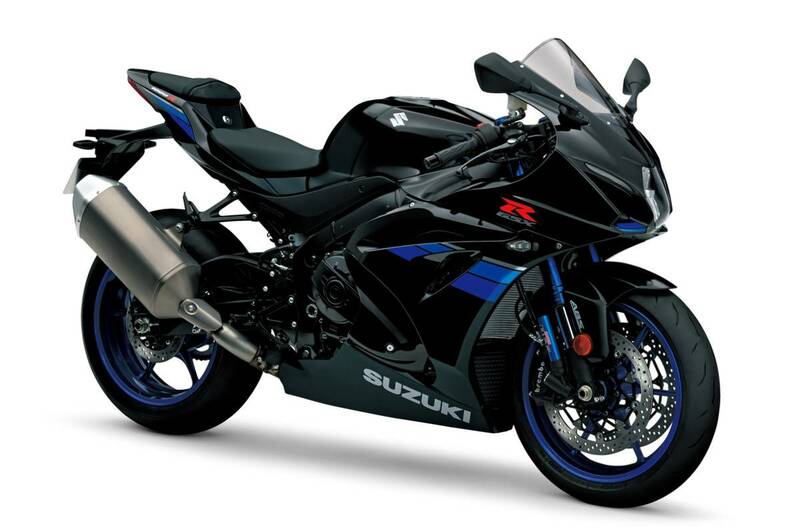 The GSX-R1000R model features the latest Showa BFF (Balance Free Front) forks, which were developed for racing use and have now been adapted to mass production. 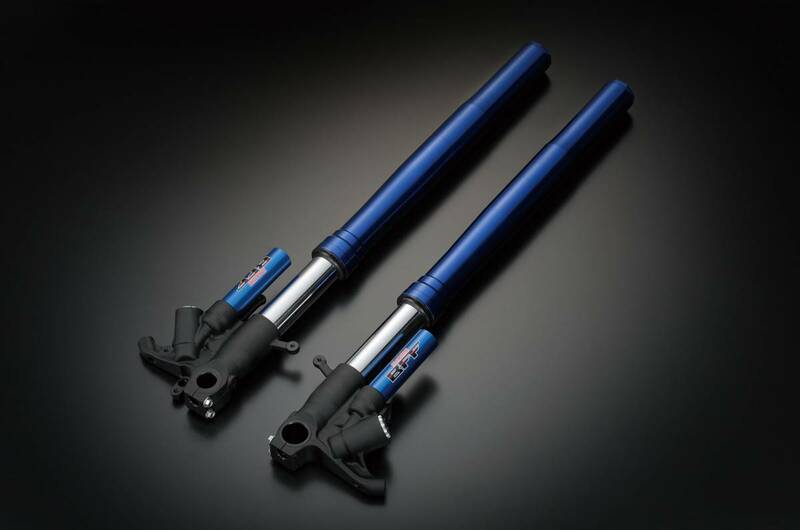 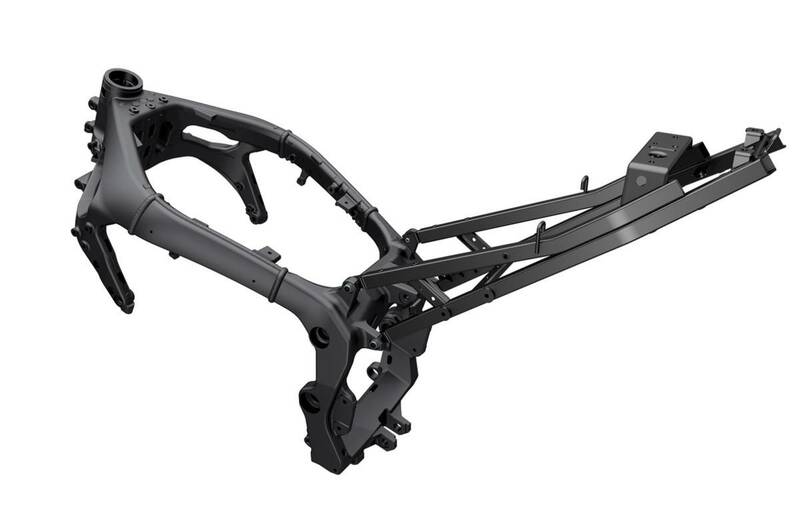 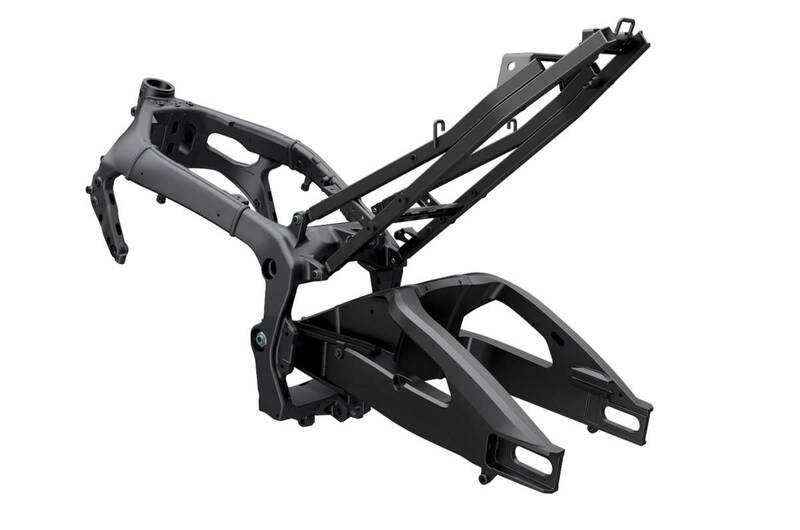 BFF forks provide more consistent damping and enhanced performance, increasing cornering traction by delivering smoother, more controlled travel and doing a better job of dealing with pavement imperfections. 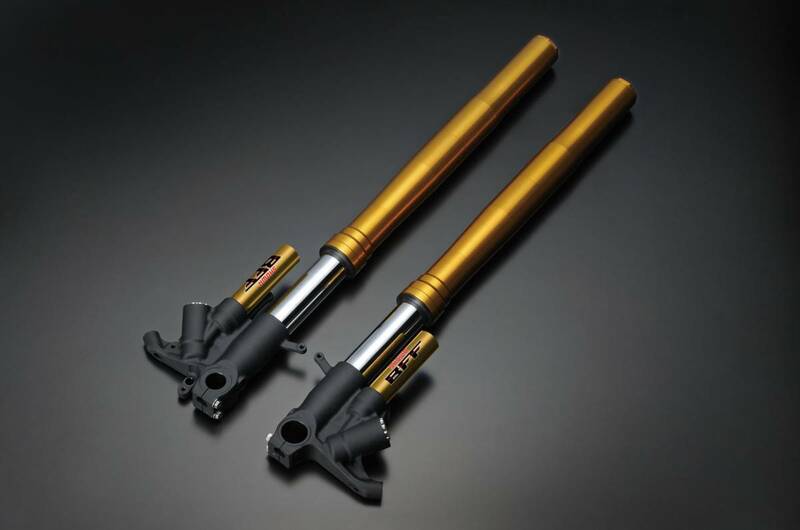 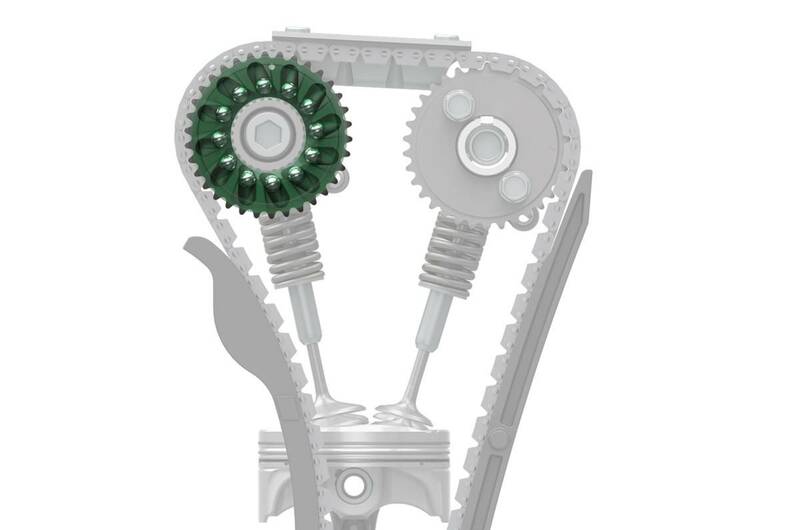 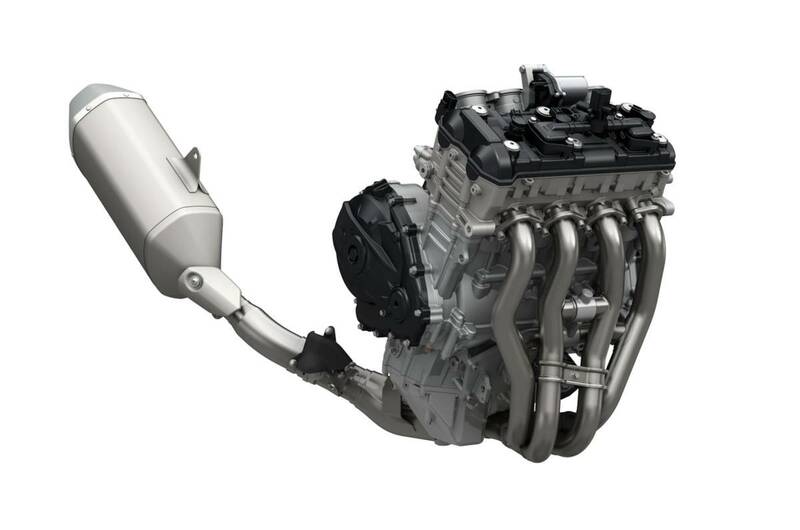 The BFF system balances (or equalises) oil pressure above and below the solid internal piston as it moves up and down, pushing oil out of the fork leg and through external damping circuits that run to the other side of the piston, where it is drawn back into the fork leg. 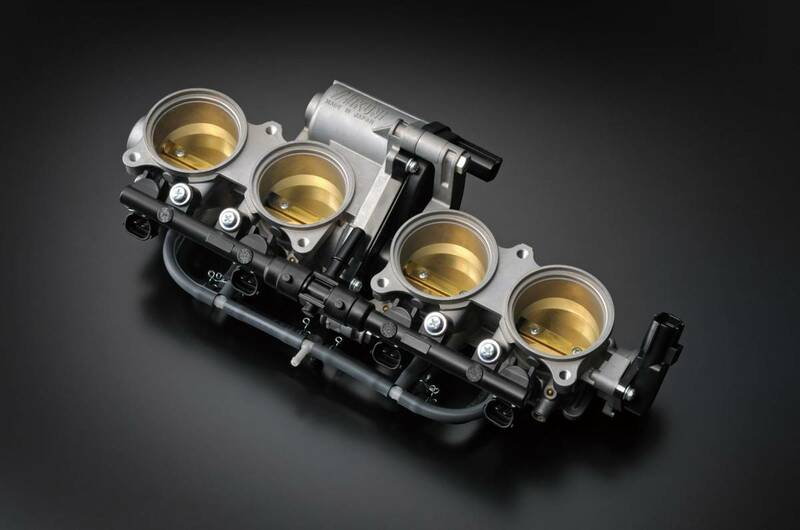 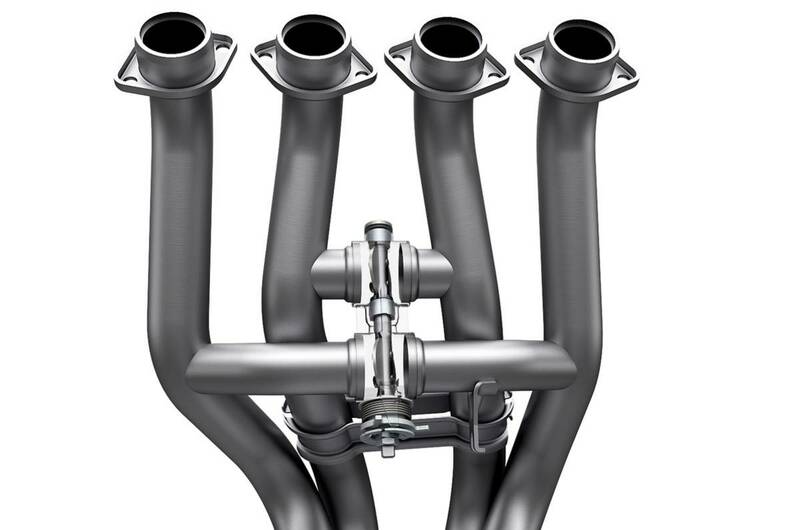 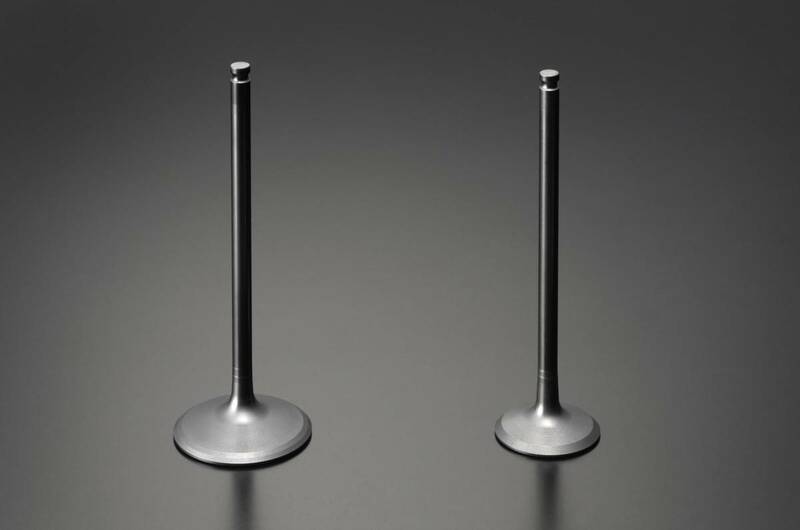 The external compression and rebound damping circuits that the oil runs through are more precise than the valve stacks fitted above and below the piston in other types of forks, and damping control is “set free” (or isolated) from the influence of unequal pressure. 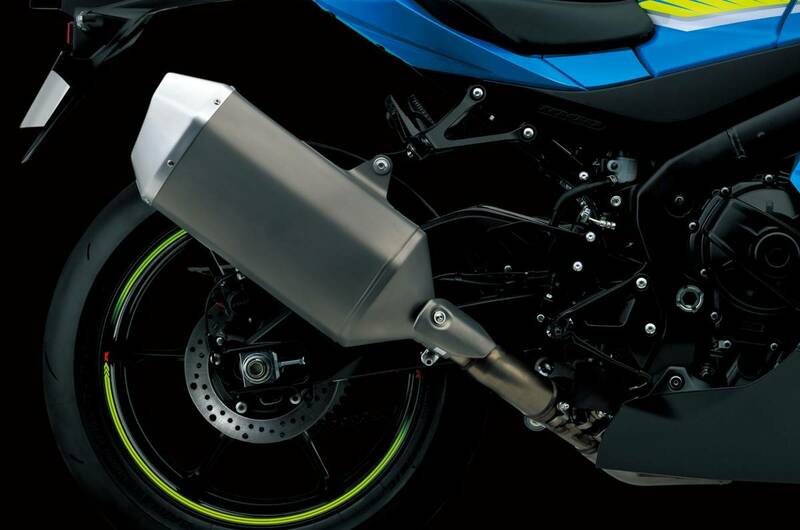 It's a difference that can be felt, with riders reporting improved comfort on the road and better feel and cornering grip on the racetrack. 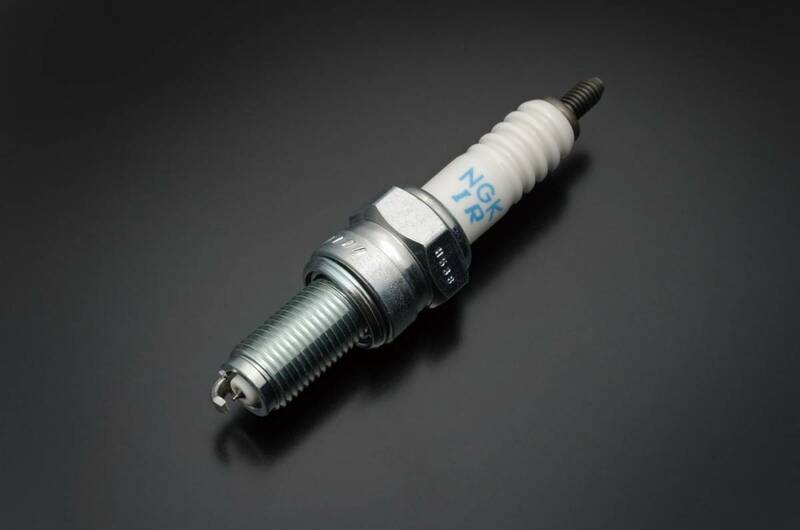 BFF rebound damping, compression damping and spring preload can be easily adjusted externally. 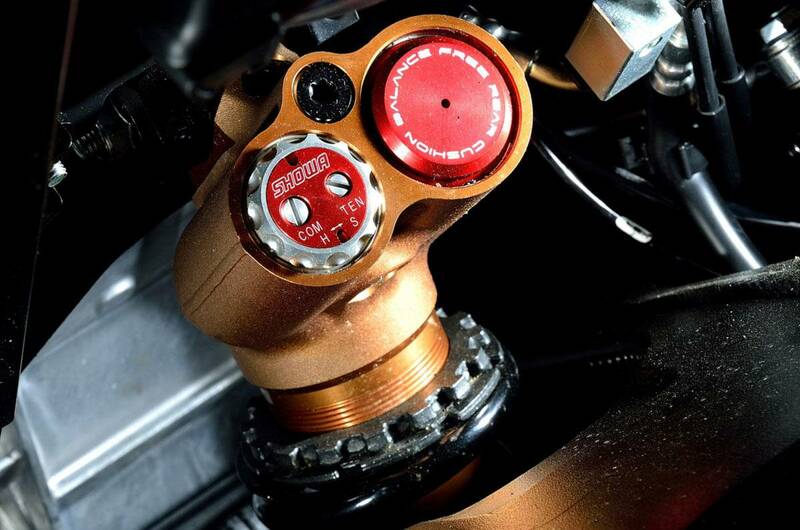 BFRC® lite rear shock absorber balances (equalises) oil pressure above and below the solid internal piston as it moves. 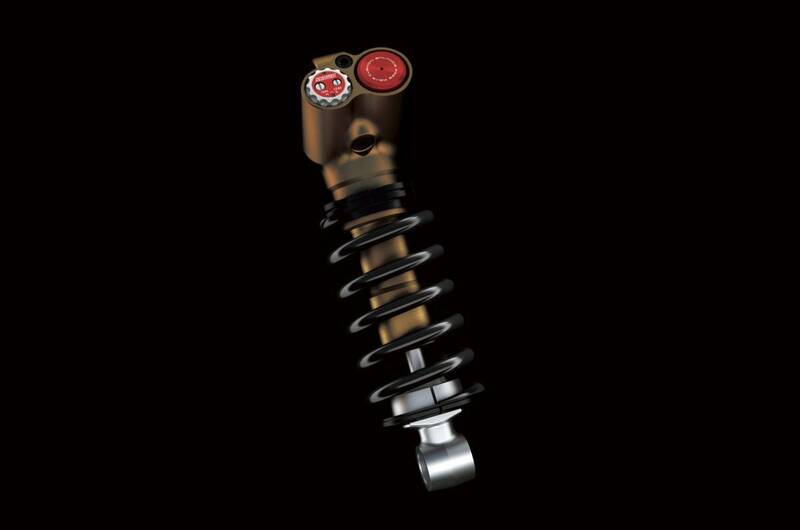 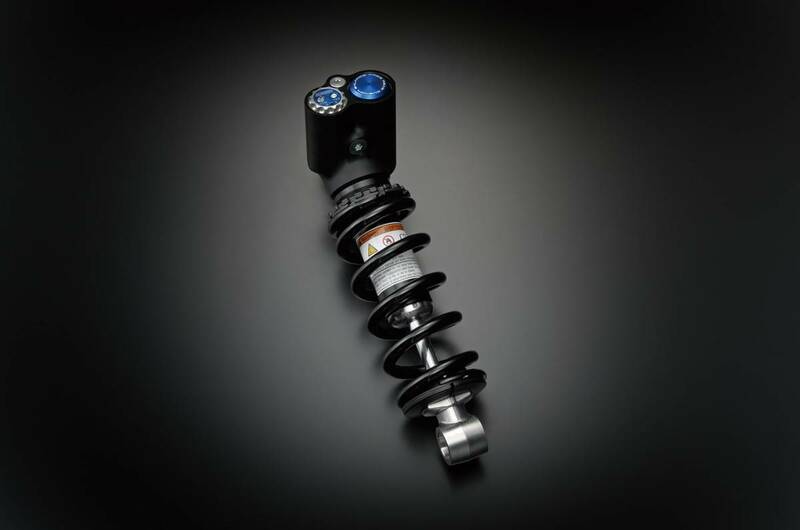 As the shock compresses, oil is pushed through the external damping circuit built into the upper shock body, through the compression valve stack and back into the shock body, on the other side of the piston. 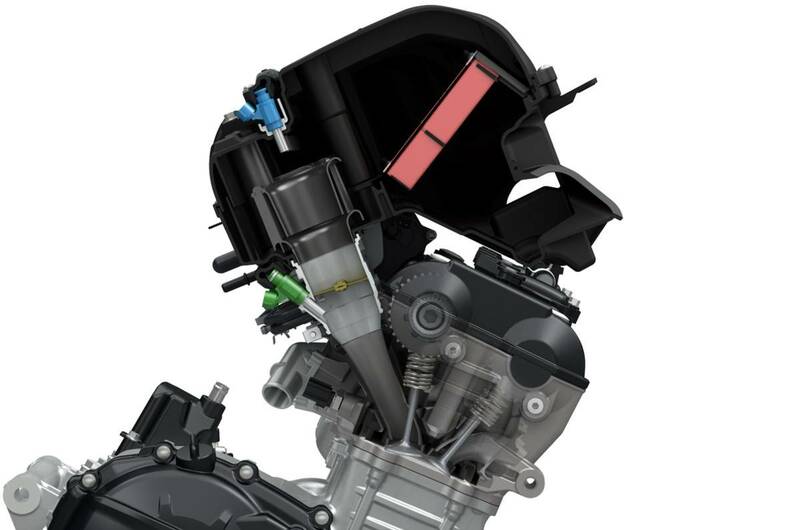 As the shock extends, oil is pushed through the external rebound damping circuit, through the rebound valve stack and back into the shock body, on the other side of the piston. 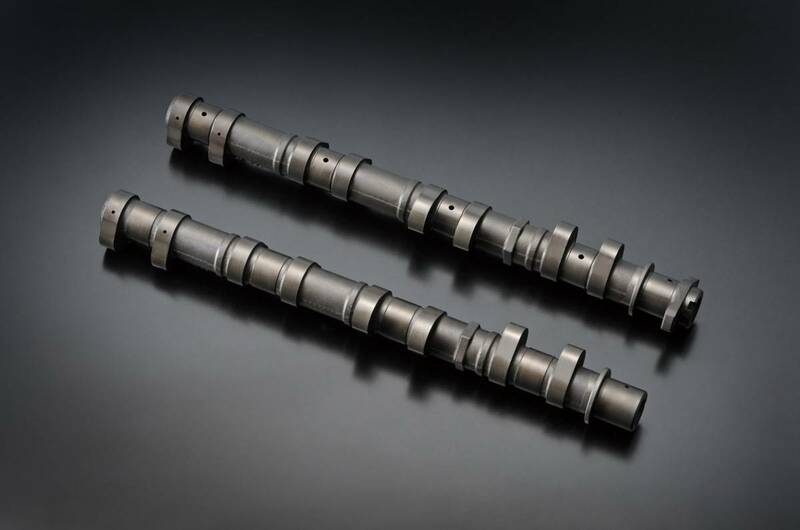 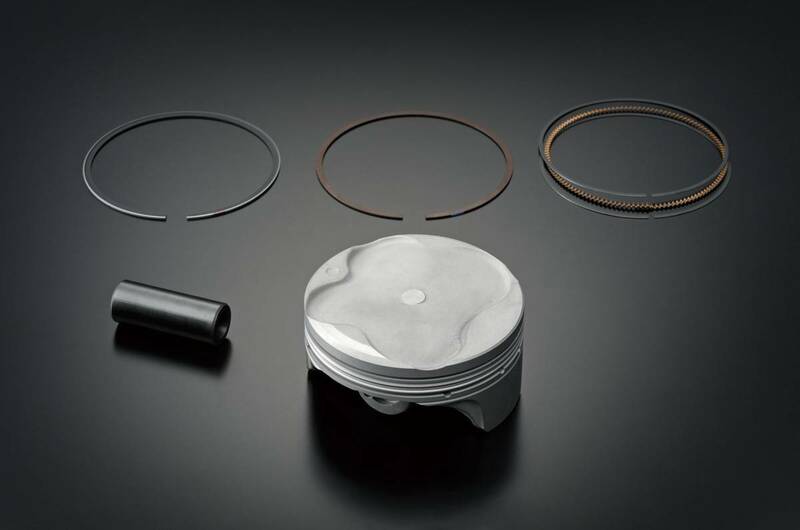 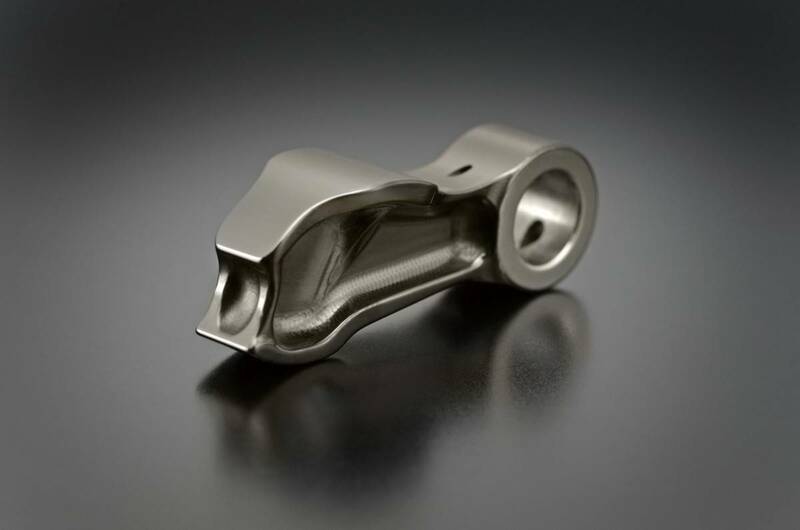 Compared to conventional shocks that generate damping by pushing oil through the internal piston and valve shim stacks fitted above and below the piston, damping control is isolated from the influence of unequal pressure. 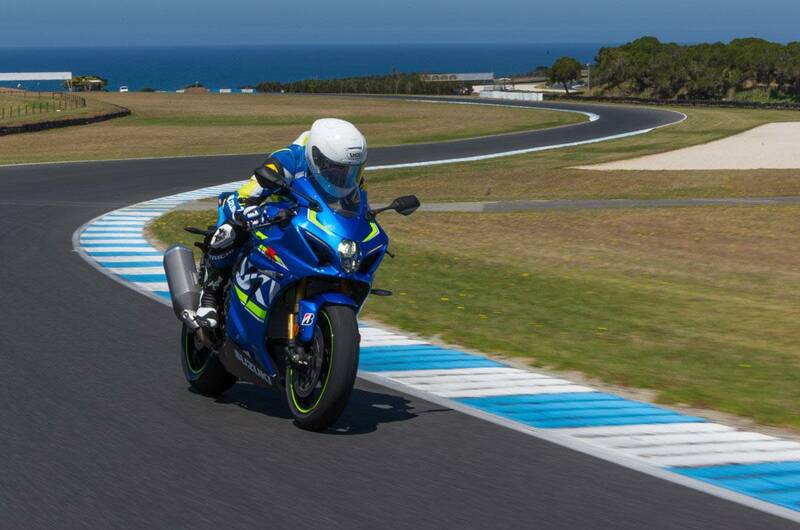 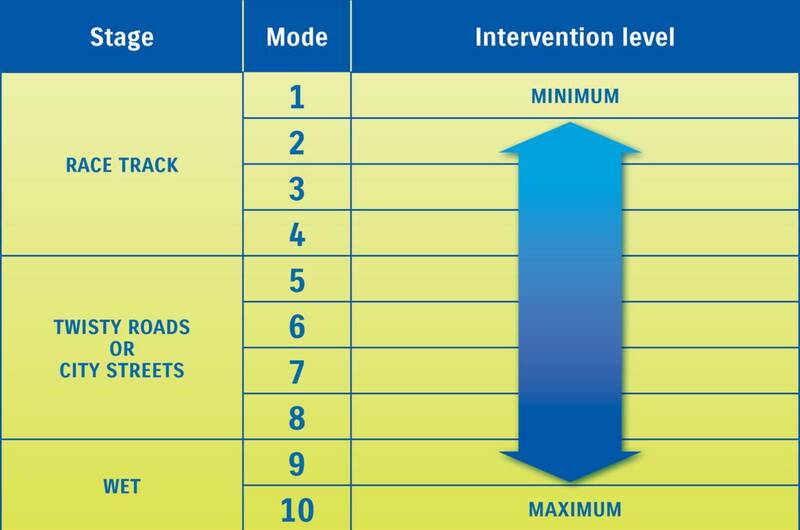 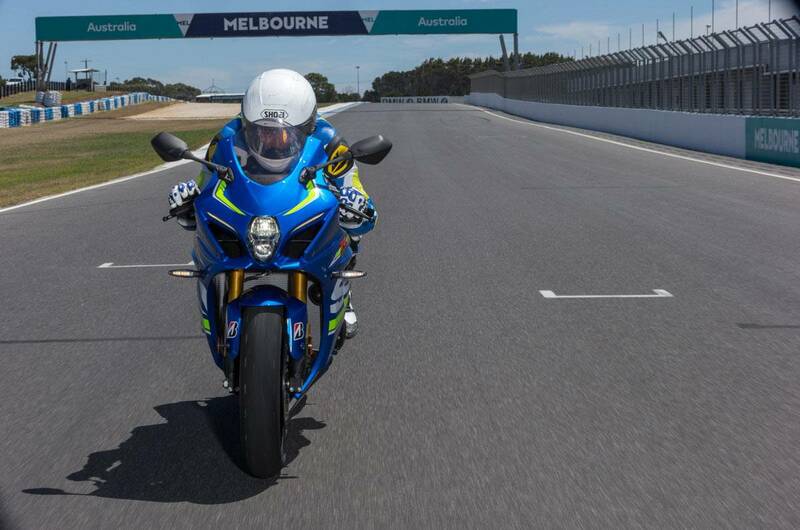 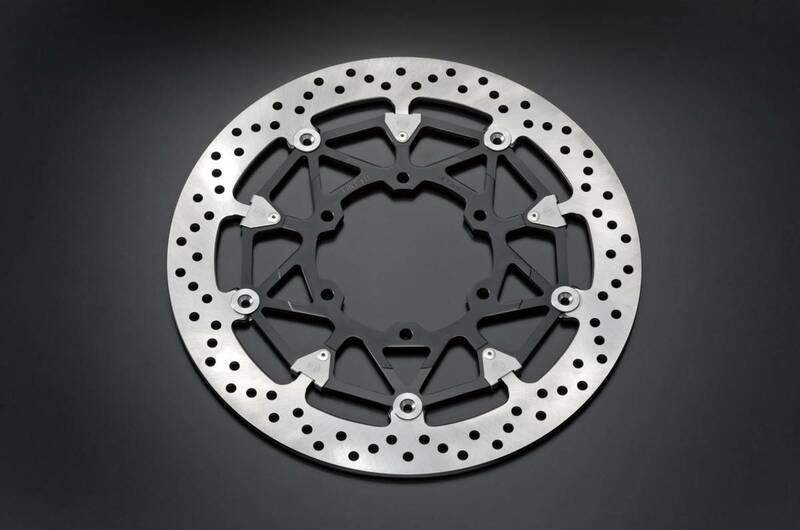 It’s a difference that the rider can feel on the street and on the racetrack, with riders reporting better feel and drive grip that allowed them to initiate their drive sooner and accelerate out of racetrack corners harder. 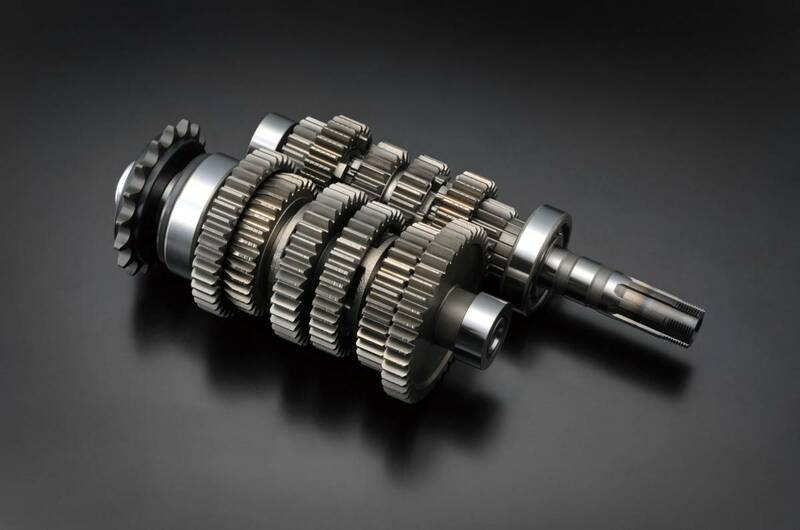 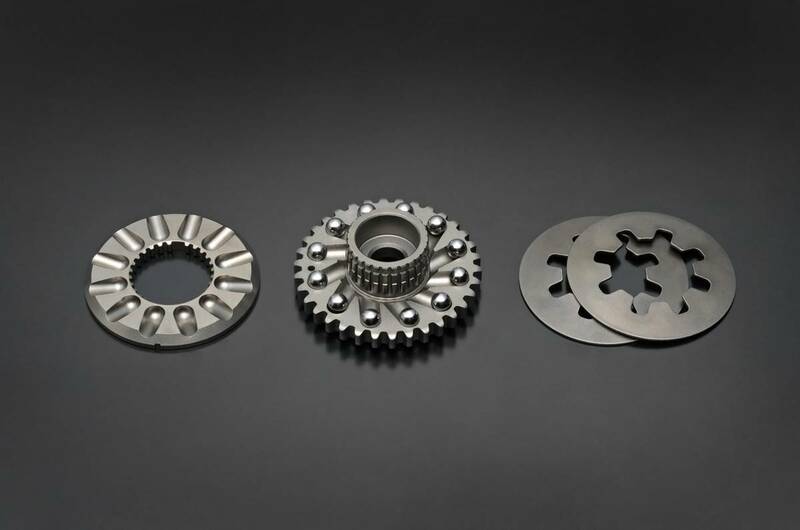 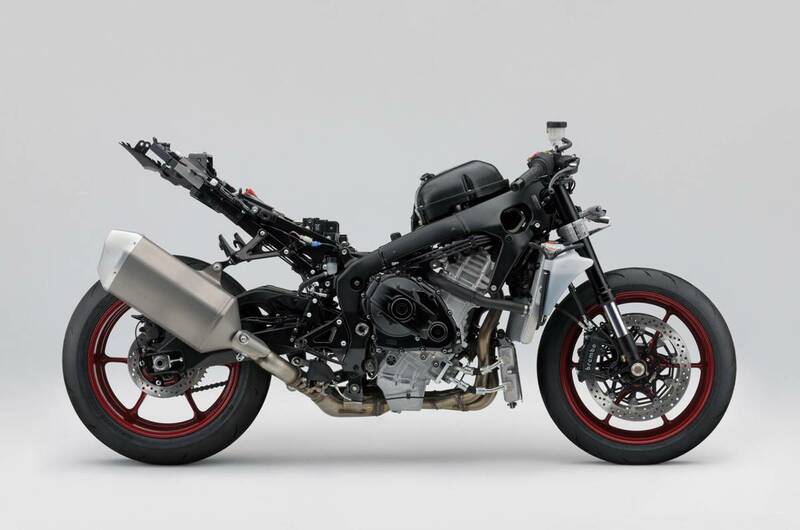 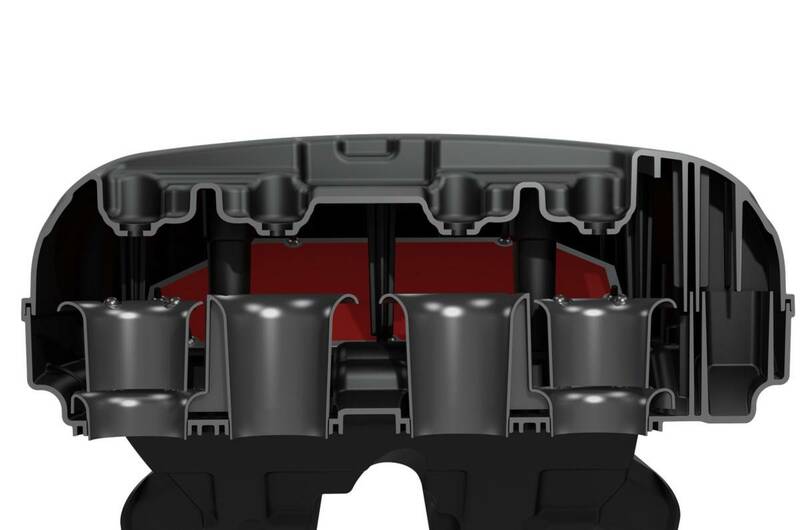 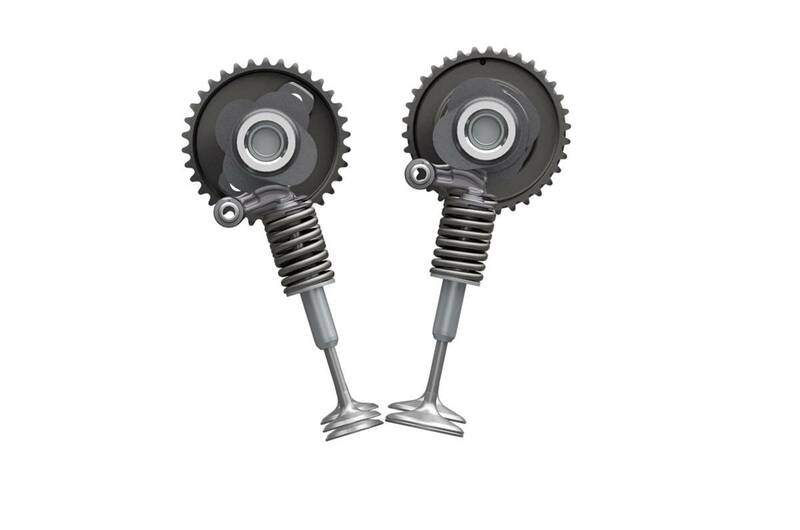 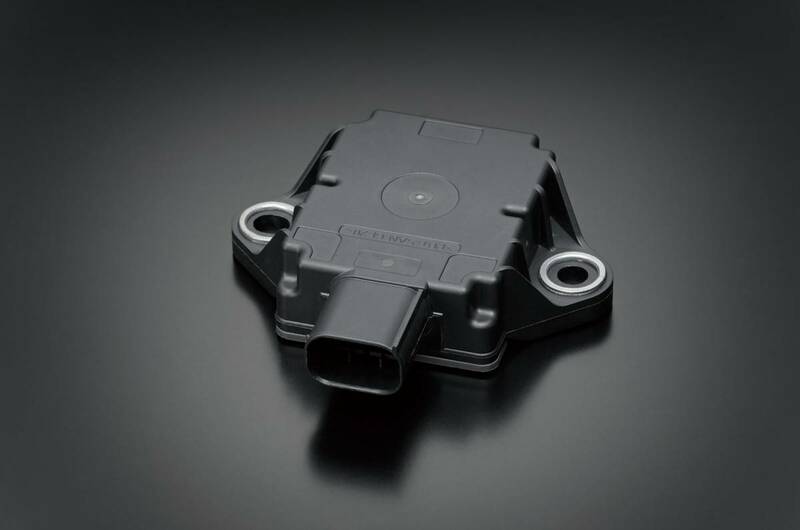 The improvement in damping control is so significant that it is no longer necessary to provide separate high-speed and low-speed compression damping adjustments, and the rear shock is lighter as a result. 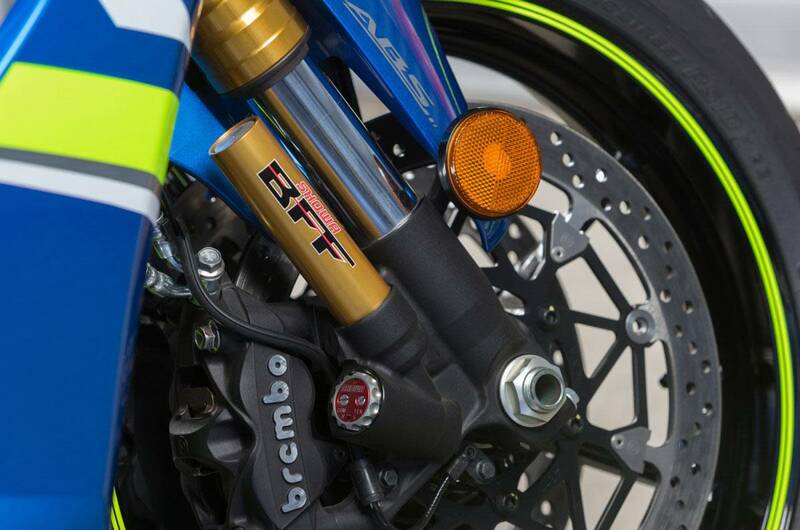 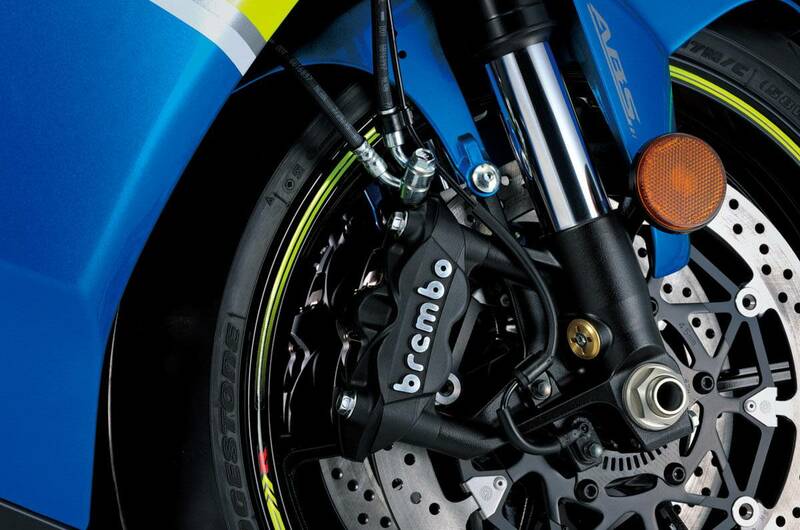 On the street, the BFRC lite shock absorber is more responsive and improves traction and rider comfort. 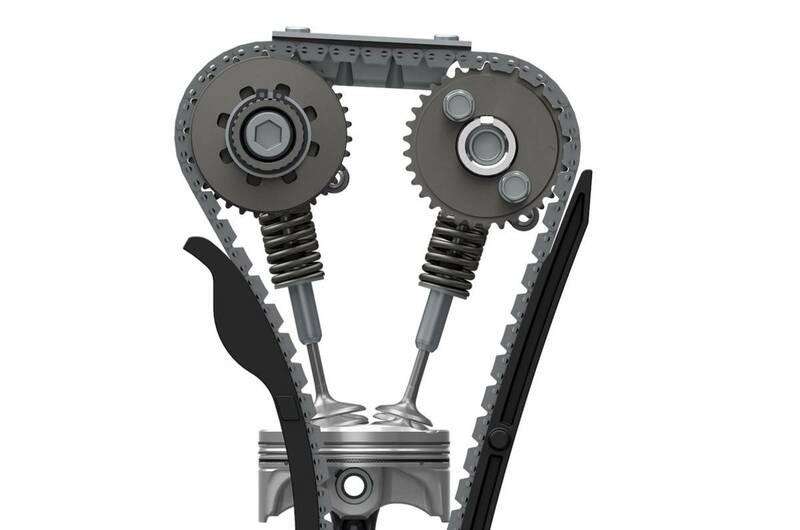 Damping adjustment controls are conveniently located and clearly labeled on the upper shock body, and the BFRC lite shock absorber works with a progressive linkage. 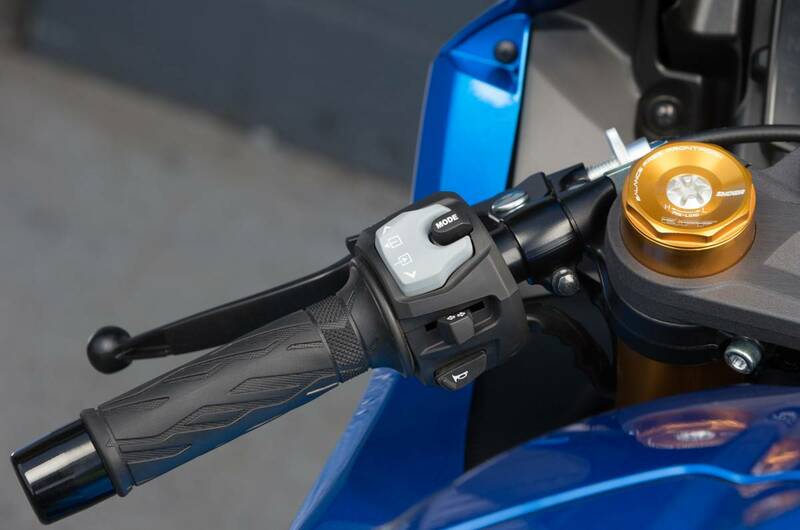 The GSX-R1000R is also fitted with a lightweight, race-ready upper triple clamp in conjunction with the new SHOWA BFF fork. 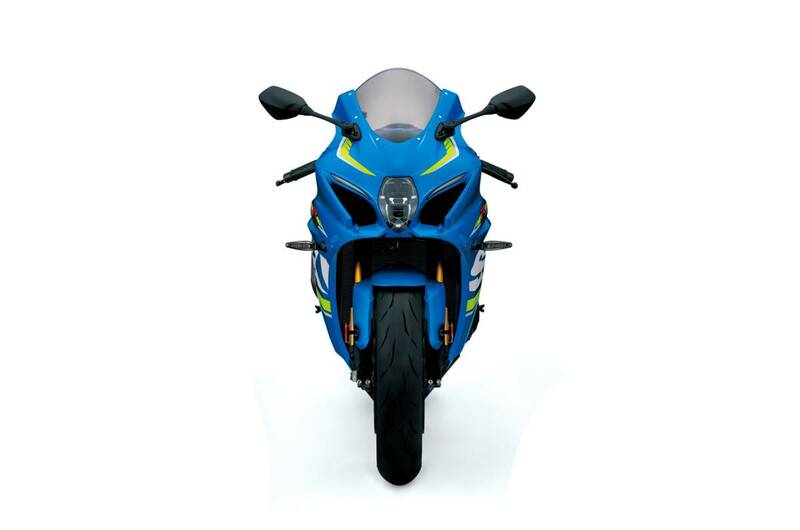 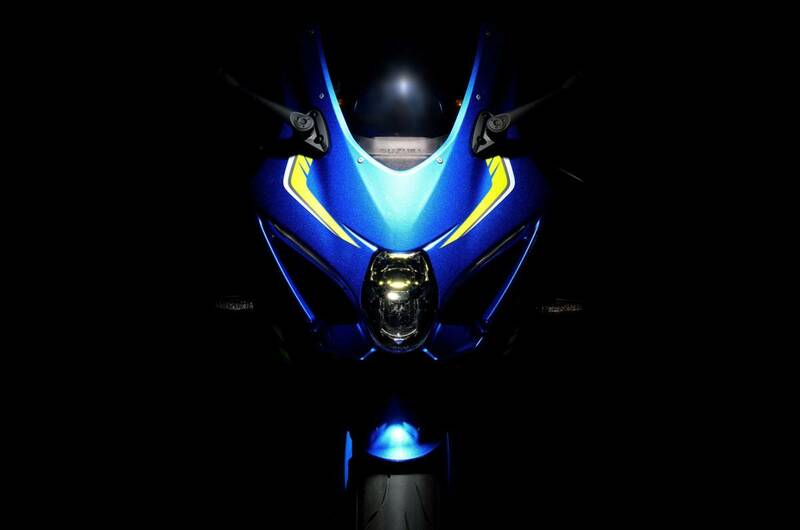 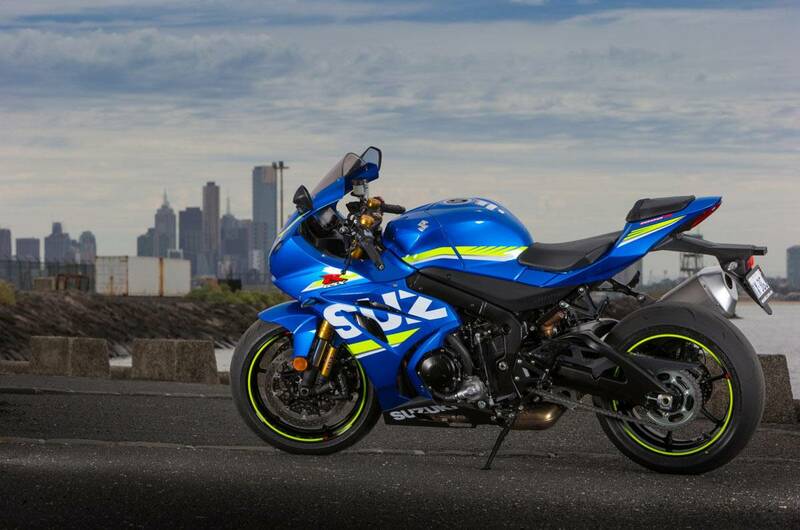 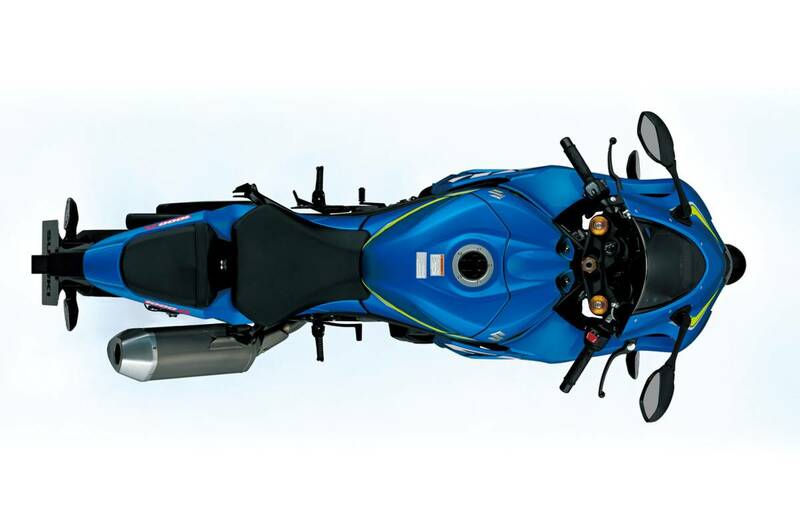 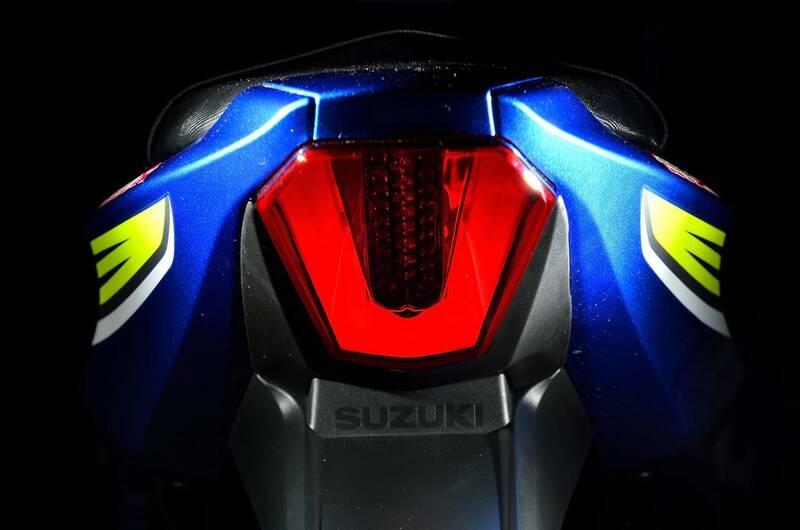 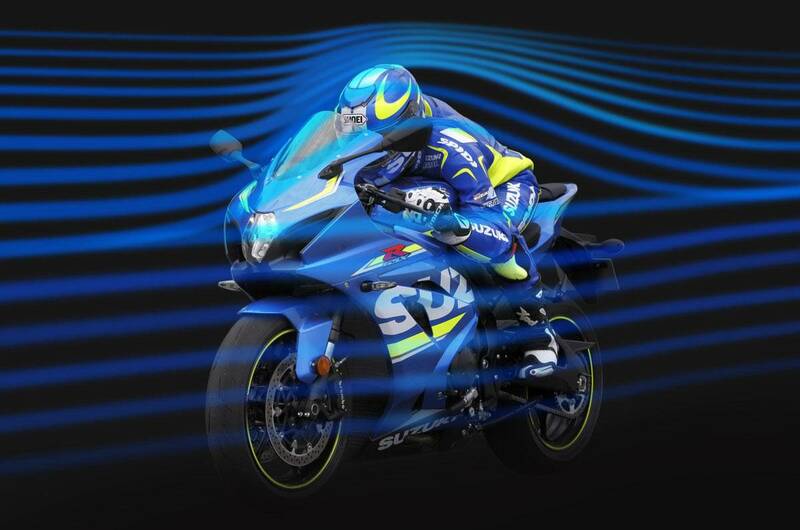 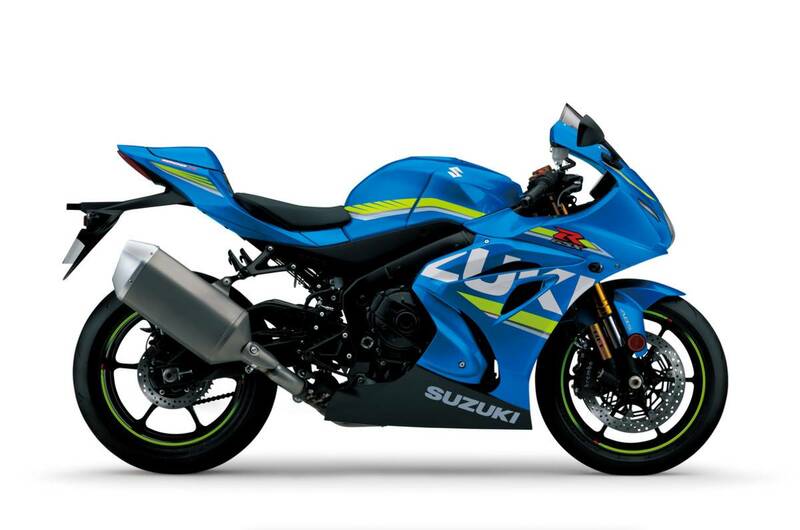 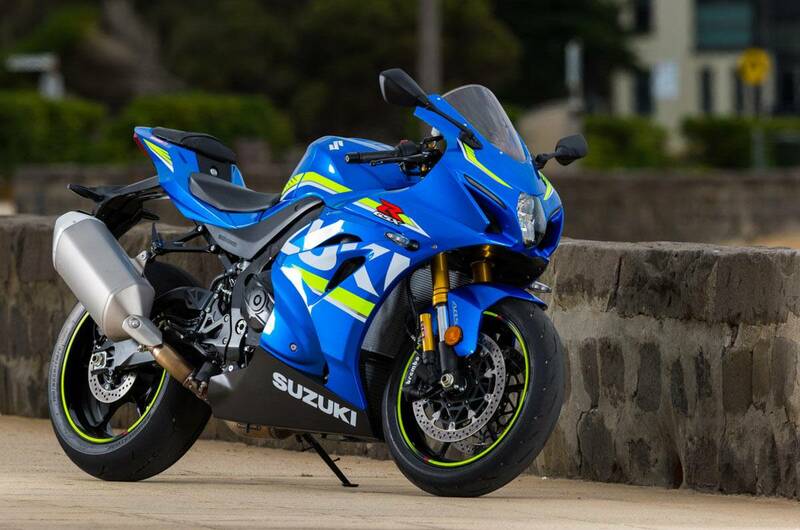 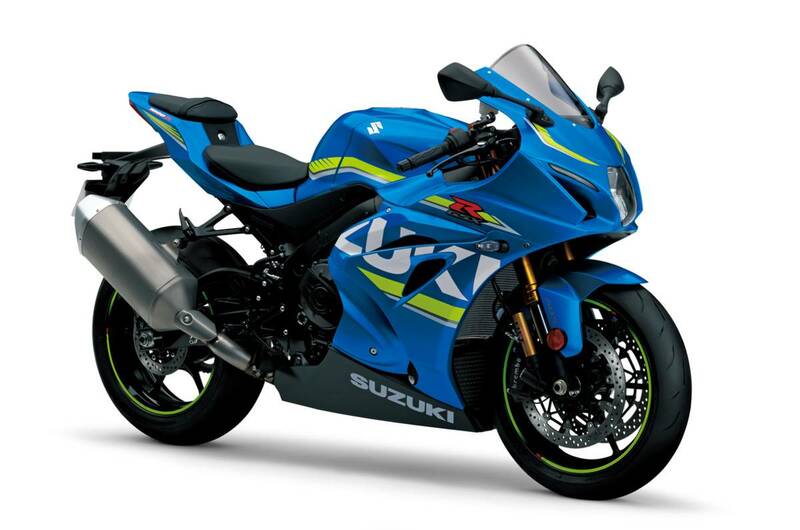 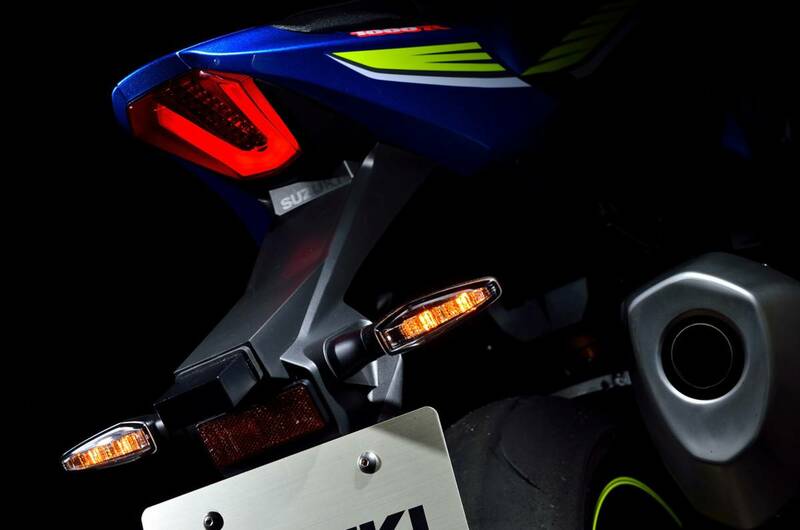 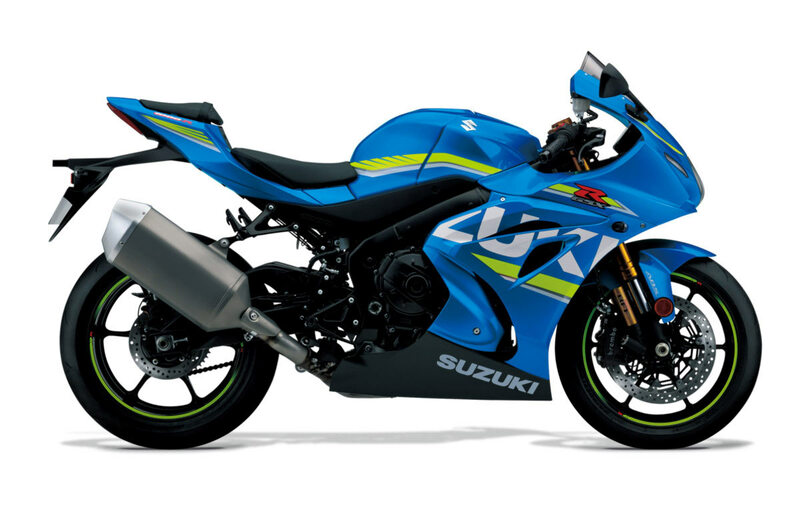 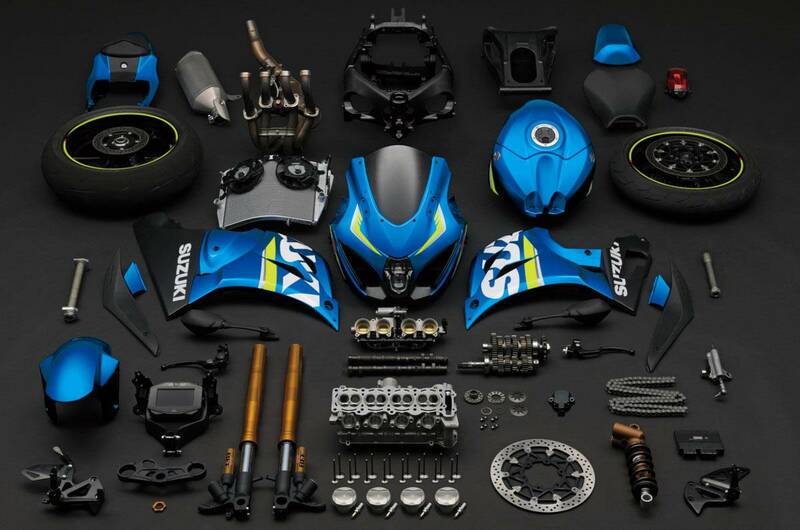 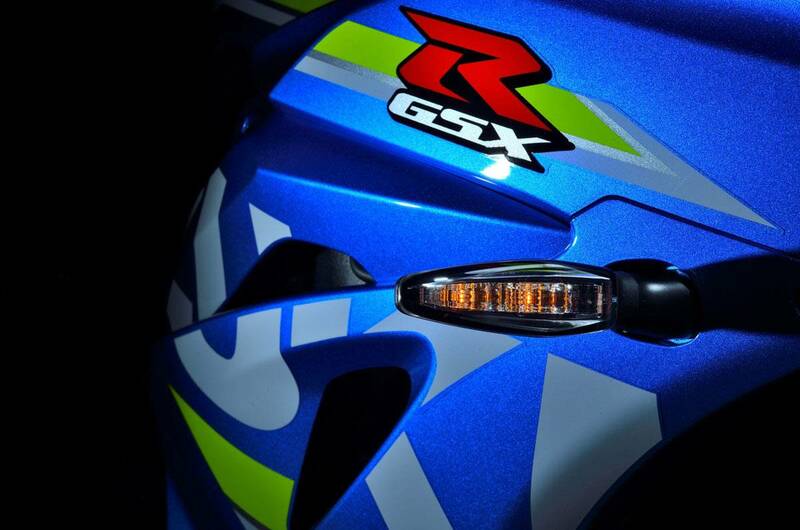 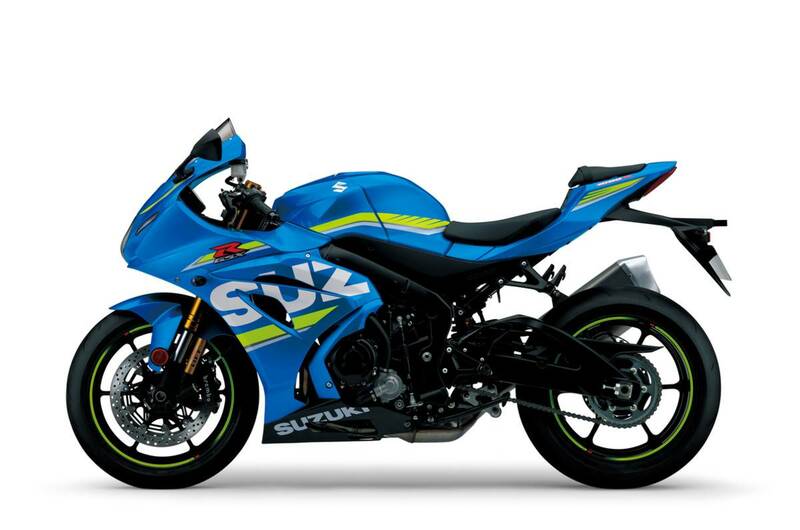 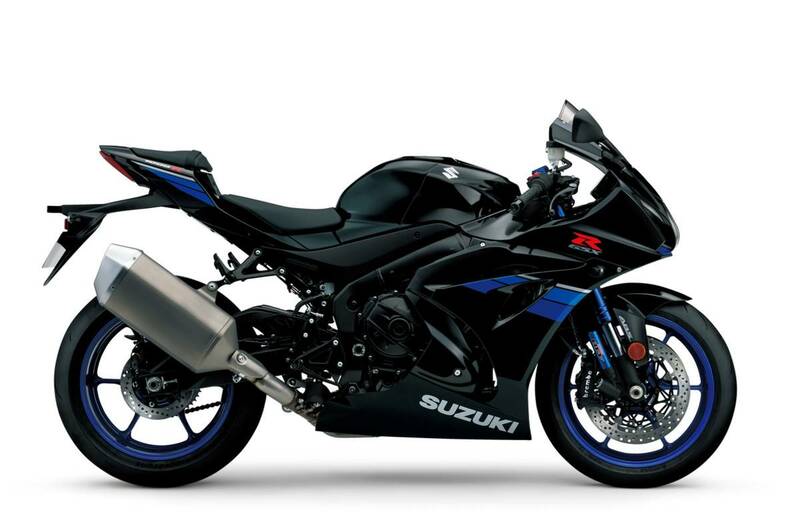 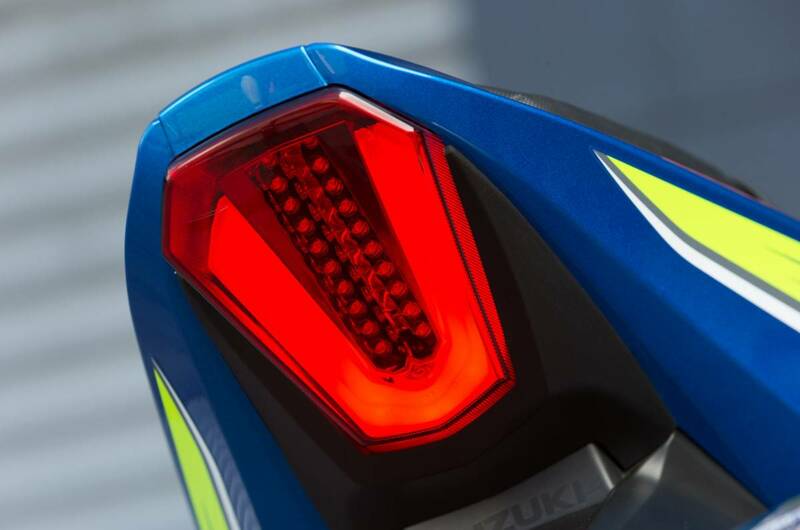 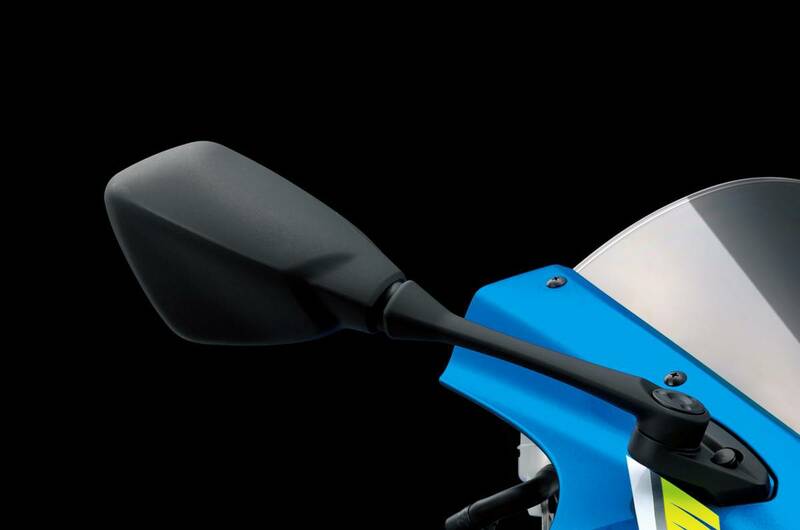 The black GSX-R1000R model features tri-colour blue Suzuki Racing Heritage stripes on the fairing, sparkling blue wheels, and blue-anodized outer tubes on the SHOWA BFF fork. 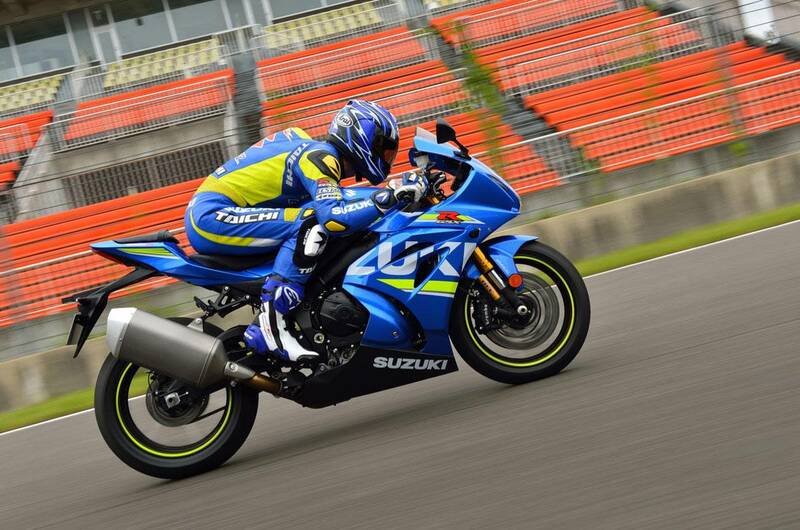 A new lightweight battery is a great benefit during closed course competition or track-day use. 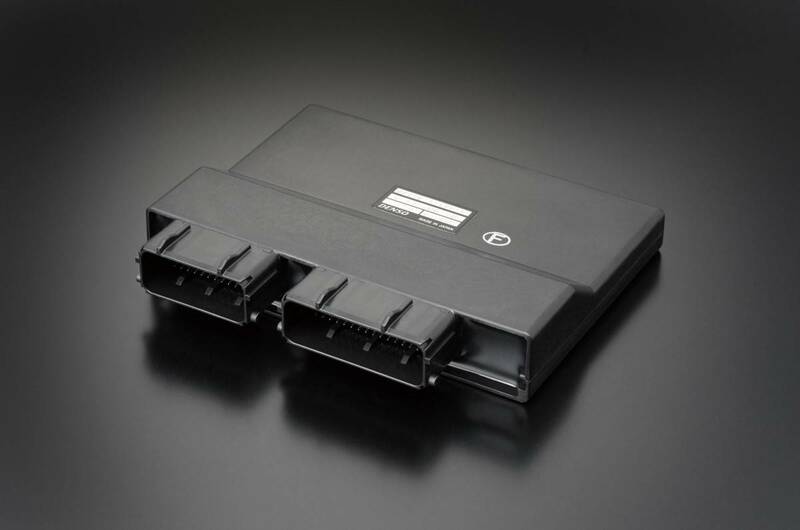 This compact battery has ample capacity to start the engine and supply power to the advanced electronics.